Kimberly Bond is definitely not just another pretty face, before deciding to model and act, this native Texan’s first love was sports. She was a Professional Inline Speed Skater. She has won over 80 medal, plaques, trophies and cups. The highlight of her skating career is a National Championship and a National Record. After graduating from Texas State University with a degree in Communications and a minor in Business Administration, she works for Bikini-USA as new talent recruitment, calendar and product designer in Houston. Kimberly also works as a spokes model, television host, actress and print model when time allows. Recently, Kimberly has married her childhood sweetheart. She and her husband have been staying busy by restoring their home with the help of their family and friends. They have also adopted Duncan an Australian Shepherd and Lily a Tabby cat. Family is very important to Kimberly, and she looks forward to starting her own family with her new husband soon. Erica Lynn Ramirez was originally from the Philippines. She moved to Houston, Texas 4 years ago from Maryland. She is currently a student in the University of Houston, majoring in Education. In her spare time, she volunteers at the Houston Food Bank, Habitat for Humanity and SPCA. When she is not doing volunteering work she spends most of her time with her two adopted dogs, Loki and Thor. My name is Kayelyn Arambula and I’m fourteen years old. I’m currently in the eighth grade and attend Willow Wood Junior High. I also really enjoy hanging out with friends on the weekends. Of course, who doesn’t love movies and pizza on Friday nights? Family days are what I enjoy most, whether it is game night, or just cozying up in blankets and watching TV. I’m also an avid volleyball player, currently playing for a club team out of Tomball and have also run track for the past six years. Now that I think of it, I should tell you how I came to be in pageants. When I was younger I would watch the Miss USA pageant with my mother and sister. I was always fascinated by their style and poise, along with the fact that they could make a real impact because of their position as the reigning Miss USA. As I grew a little older my fascination became more of a reality. So finally I worked up the courage to ask: “Mom can I do pageants I really want to do them; so can I, please?” She looked at me and laughed and of course she said YES. In the future, I hope to play college volleyball while in the short-term, I hope to make the high school volleyball team, both of which will come from hard work and dedication. While in school, I hope to become a veterinarian. I currently volunteer at several pet shelters around the area and hope to make a difference in the world one animal at a time. 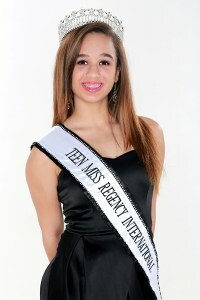 Little Miss Regency International 2014. 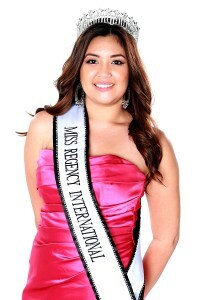 Houston, Texas – The Regency International Pageant is thrilled to announce Maurielle Vargas from the Golden Triangle Area of Texas as our Little Miss Regency International 2014. Maurielle was chosen as this year’s titleholder for her overall beauty, personality and academics. 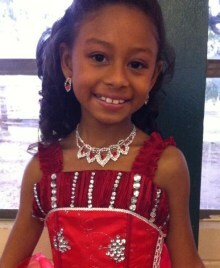 Maurielle attends Robert E. Lee Elementary and will be in the 4th grade this coming school year. Her favorite subjects are Math and Science. Maurielle is a straight A student and has a record of “Perfect Attendance” since her very first day of school. One of her biggest academic accomplishments is placing 3rd overall in the Districts Science Fair. Maurielle is also a member of the Golden Triangle Hispanic Association Folkloric Dance & Lee Spirit Squad. Some of her other favorite things to do when she is not in school or competing in pageants are shopping, crossword puzzles, dancing ,riding her four wheeler or playing with her mini Schnauzer puppy. Her favorite color is turquoise and her favorite food is crawfish. Maurielle also has 3 sisters. When she grows up she wants to become both a psychiatrist and also a hair & make-up artist.